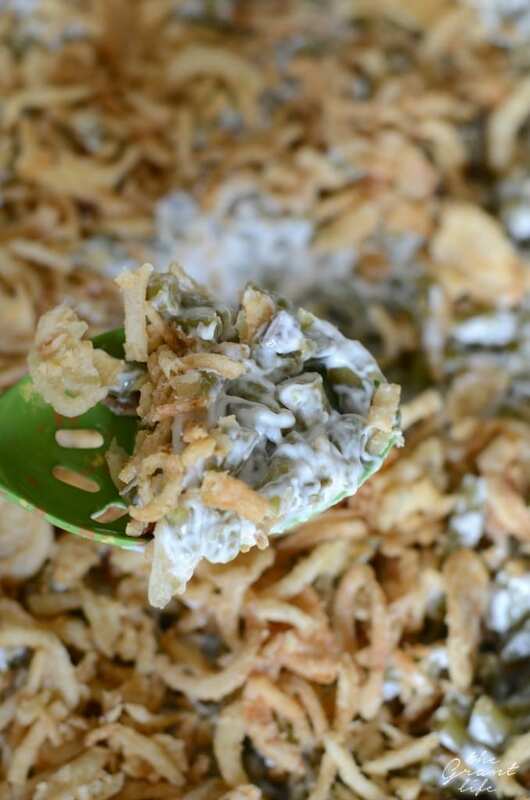 Classic green bean casserole is a great side year round! 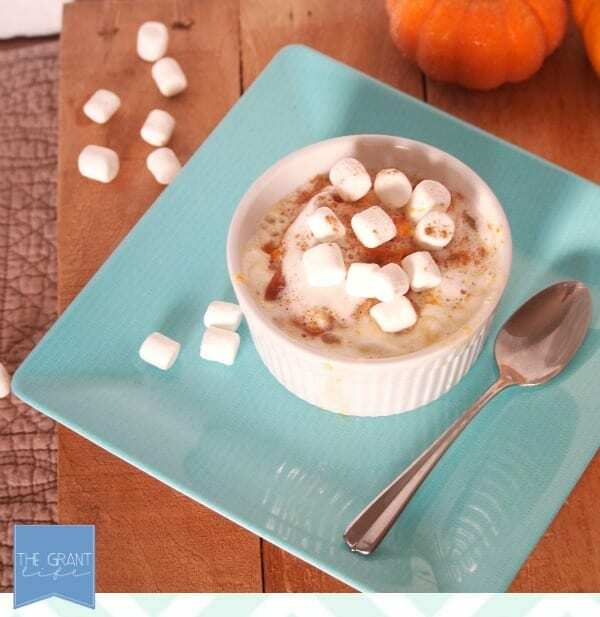 It’s super easy to make and perfect for a crowd. You know what? I think that we should have Thanksgiving once a month. Yup. We should. Thanksgiving food is just the best. Plus being able to hang out with family and friends around the dinner table is literally my favorite thing ever. Give me all the oven roasted turkey and crock pot sweet potatoes. ALL OF IT. Oh and just step aside when it comes to this classic green bean casserole. I’ll take care of it. It’s my all time favorite after thanksgiving breakfast dish. I love me some leftover cold green bean casserole the next morning. You need a bunch of green beans for this recipe. 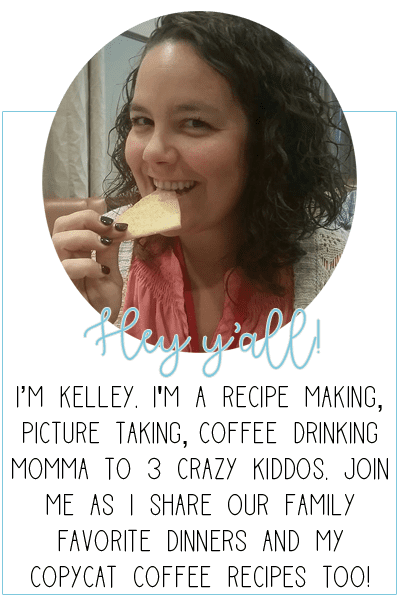 I used four 14.5 ounce cans to make this recipe in my 9×13 baking dish. Feel free to use more or less, just adjusted your other ingredients to accommodate. This classic green bean casserole calls for 2 10.5 ounce cans of cream of mushroom soup. You can use store bought or try your hand at homemade cream of mushroom soup. The secret to making this classic green bean casserole is the fried onions. I use French’s fried onions and I use a lot. I add some to my casserole and then I also add them to the topping. It makes it slightly unique but still a classic. How do you makes French’s green bean casserole? 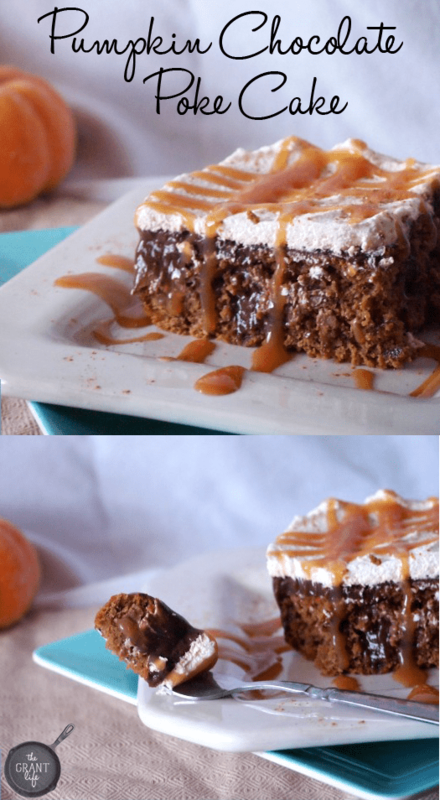 I truly love this recipe because you can make it all in the baking dish. Yup! You read that right. 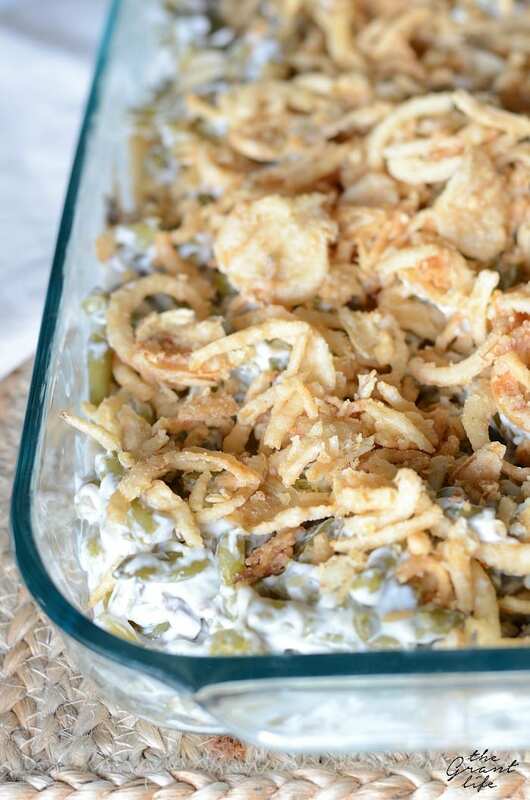 This classic green bean casserole is made ALL IN ONE DISH! To make it, place your drained green beans in the bottom of the casserole dish. Add in your cream of mushroom and the milk plus the salt and pepper. Stir to combine. Add in some fried onions and stir again. 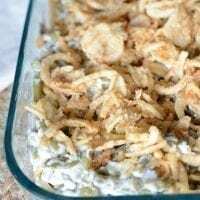 Top the casserole with the additional fried onions and bake. Preheat the oven to 350 and spray a 9x13 baking dish with cooking spray. Drain out the water from the green beans and put them in the baking dish. Add the cream of mushroom soup, milk and salt and pepper to the green beans. Mix unto combined. Add one container of french fried onions to the mix and fold into the green beans. Add the second container to the top of the green beans. Bake for 20-25 minutes or until bubbly.